Jacques showrooms offer a huge range of bespoke steam rooms, bathrooms design, suites, furniture and all bathroom accessories across Warwick, The Cotswolds and Warwickshire. With so many luxurious styles to choose from, our showroom is the ideal place to find the perfect bath for your dream bathroom. With experience in top of the range bathroom collections going back over three decades, we know the market inside out, and when we select the ranges for our business they are the best of their example available today. Our baths, as with all our pieces are carefully chosen to reflect a range of the most beautiful, glamourous, stylish, and leading edge designs, produced by top manufacturers. 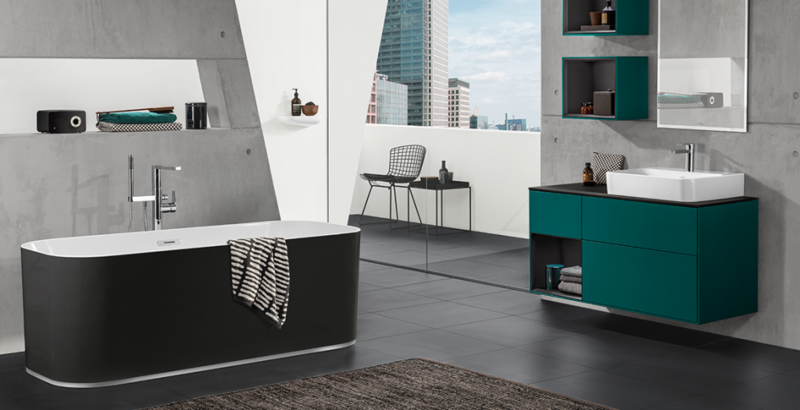 Get a free standing bath for the wow factor, an inset bath for that spa like ambience, or a showering bath that combines the two functions into one – a great space saver for smaller spaces such as an en-suite. Carefully crafted ceramic pieces need to be handled and installed with care, which is your Jacques bath will be fitted by an experienced team who know the process in detail, and can negotiate tricky access – in addition to working efficiently side by side with our other tradespeople. So how to choose? The best way is to see for yourself at our showroom, where there are many working models: steam, whirlpool, showers, etc and our helpful staff are there to find out more about your ideas. Get in touch today for luxurious bathrooms.